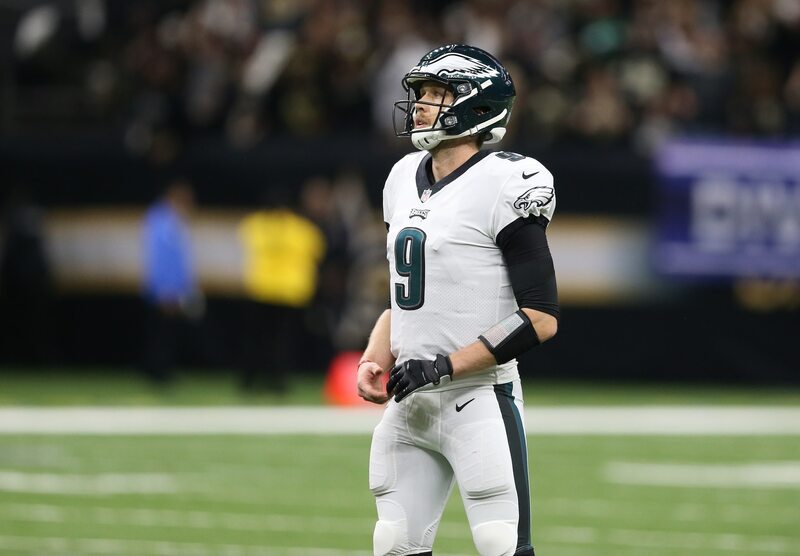 Jaguars rumors: Nick Foles to Duval? Front office head Tom Coughlin and the Jacksonville Jaguars are going to be looking for a new quarterback this offseason. Struggling signal caller Blake Bortles is expected to be released by the team. If this were to come to fruition, the Jags might very well make a run for reigning Super Bowl MVP Nick Foles. Here’s the how and why to it. Connections: Jacksonville’s connections to Foles makes this a likelihood. New Jaguars offensive coordinator John DeFilippo was Foles’ quarterbacks coach with the Eagles back in 2017. He oversaw vast improvement from then second-year quarterback Carson Wentz, too. Dating back to his days with Mark Sanchez and the Jets, DeFilippo has been known as a quarterback whisperer. It’s likely one of the reasons Jacksonville hired him as OC. And it’s not to work with Bortles. Comepensation could work: Jaguars have assets to make a move of this ilk. While pure speculation, Jacksonville could be looking to move star running back Leonard Fournette and Pro Bowler Jalen Ramsey. Fournette fell out of favor with the team. Meanwhile, Ramsey’s outspoken ways has not sat well with the Jags’ brass. In addition to having those two players, Jacksonville boasts an additional third-round pick in April’s draft. While that won’t get it done on the surface, offering up a second rounder could work. Foles is a wanted man: It’s clear he’ll be a starter somewhere. The expectation is that there’s going to be a huge market for Foles’ services after he once again led Philadelphia deep into the playoffs. Said compensation could include multiple early-to-mid round picks. As such, Jacksonville won’t be the only contenders to land Foles. The market will likely dictate how much of a possibility Foles to the Jaguars is. But for now, they have to be considered the favorites to land him.